Your brand is more than your logo. It's the essence of who you are as an organization – a representation of your mission, values and voice. Our creative team threads organizational identity through all its work. 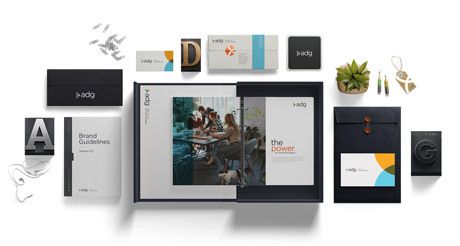 From logo rebrands and identity packages, to brochures and annual reports, from email campaigns and tradeshow displays, to catalogs and yearbooks - we've done it all. Whether developing yearly plans or supporting specific goals and campaigns, thorough market research is the starting point. We survey, research and brainstorm to create a tailored, actionable plan that informs all future creative work. By approaching all creative work with a strategic eye, organizations are able to ensure that every project tells its story, reaches targeted audiences, engages members and customers, and achieves measurable results. A strong online presence is vital to an organization's success. Our team of developers are experts in creating custom-branded websites for organizations - and budgets of all sizes. Built to your specific needs and requirements, our dynamic web designs are both beautiful and functional. Our sites are responsive and user-friendly for front-end users as well as back-end admins. Our platform empowers clients to easily and efficiently update content and maintain their own websites - with no prior development knowledge needed. We also develop database solutions and CRM systems (constituent relationship management software) designed to meet the needs of non-profit and other civic-sector organizations. All websites built are ADA (Americans with Disabilities Act) compliant and rigorously tested to ensure they are up to these standards. Video engages, entertains and educates audiences, making it a versatile and popular medium. Once a luxury, technology has driven down production costs, enabling businesses and organizations of all sizes and budgets to enhance their marketing efforts through video. Whether you're in the market for a shareable motion graphics video, a PSA or a long-form documentary, our video team can make it happen. Conferences, trade shows and regional education programs are cornerstone events for many of our clients. Anniversary celebrations, fundrasiers and awards programs are some of our favorite events. Our creative team of experts conceptualizes custom themes that bring life to events and tell a story. From marketing collateral, pre-show e-blasts, large displays, signage and custom exhibits to promotional items - we’ll ensure your event and brand leave a lasting impression. We take the hassle out of translating designs from the screen to reality. Our stringent pre-flight process ensures files are set properly - saving time and money in production. Our experienced production team expertly specs each project and manages the process - from screen to press, from bindery to mailhouse and direct to your doorstep - or your recipient's mailbox. Our seamless production coordination allows you to leave the printing, proofing and mailing to us.